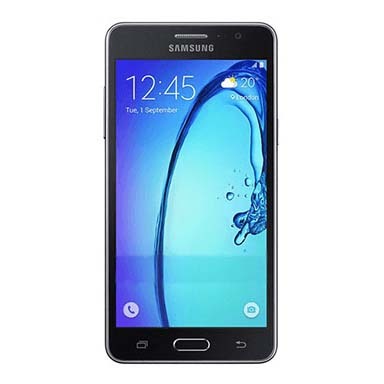 Samsung Galaxy On7 was another budget smartphone from the brand’s J series. It came with a decent 5.5-inch display that has a 720x1280 megapixel resolution. It is powered by 1.2Ghz quad-core processor and has 1.5GB RAM. Samsung Galaxy On7 ran Android 5.1.1 - far behind basic Oreo 8.0 constituted in all decent smartphones nowadays. The RAM is 1.5 GB with 8GB of internal storage. The memory and RAM are unsuitable to handle extensive tasks of today, while the 13 megapixel rear camera plus a 5 megapixel selfie camera do not live up to expectations in low light. The phone is also marred by occasional lags and takes time to open apps due to its outdated processor. If you feel stuck and fed up of your old Samsung Galaxy On7 and want to sell it online before switching over to a better phone, Cashify will come to your rescue. In few quick and easy steps you can sell your used phones and gadgets online within minutes and get paid within the next 48 hours. Cashify is a trusted name for selling old mobile phones and gadgets online. Why Sell Your Old Samsung Galaxy On7 On Cashify? 1. Head over to Cashify website and select the brand and model name of your old phone ‘Samsung Galaxy On7. Next, tell Cashify about the age, warranty period and physical condition of your old phone. 2. Cashify will use its automatically generated pricing mechanism to yield the best price quotes that are genuine. 3. Satisfied? Go ahead and arrange a free pickup with Cashify at a time and place that suits you. 4. After inspection of the old phone by the representative, you will be instantly paid in the mode of payment that suits you. Cashify solves all your worries and lets you close deals within minutes. It is quick, easy, convenient and safe.